.Net framework tutorial will help you to learn all the layer of dot net platform, learn what service each layer providing to compile the programm in native machine code and execute. The role and responibilities of CLR, JIT, base class library etc. 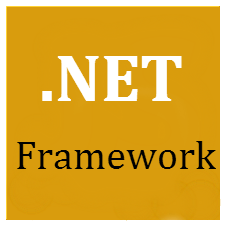 This tutorial will explain you what is .Net framework?, its componants and how programme compiles and executed from scratch - Bookmark this website and continue. If you are beginner to the .Net framework, it is recomand that read tutorial from start that covers .Net Basics and gradually move forward, by learning a little bit every day. These tutorials are designed for beginners and professionals who want to learn .Net architecture/framework step-by-step and to become an expert.